The Deluxe Travel Centre is the perfect travel companion if you have a baby or toddler. 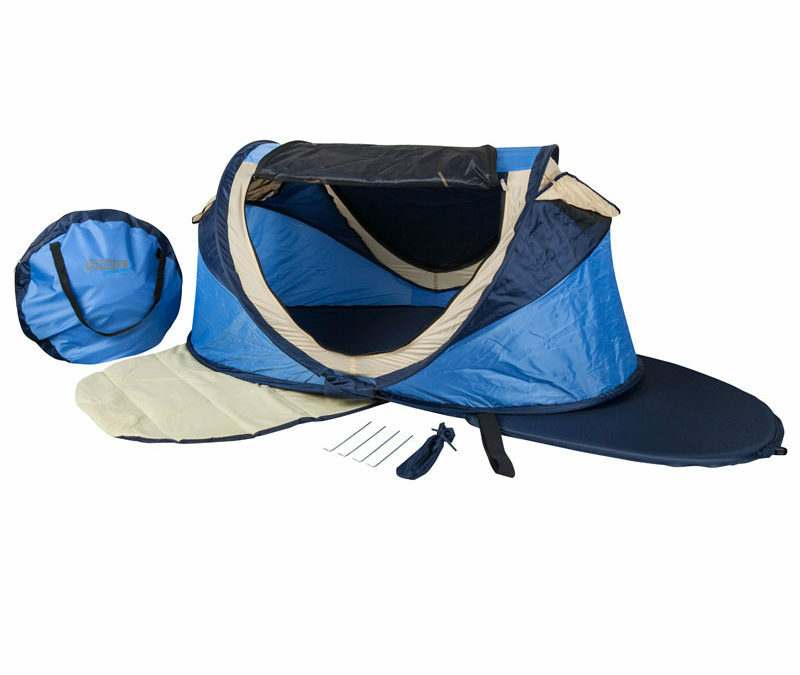 It’s basically a small person (baby/toddler) tent that comes with a self-inflating mattress, quilted sleeping mat and tent pegs. Not to mention it all fits into a relatively small carrying bag to make it easily portable. It is also British Standards Travel Cot approved!